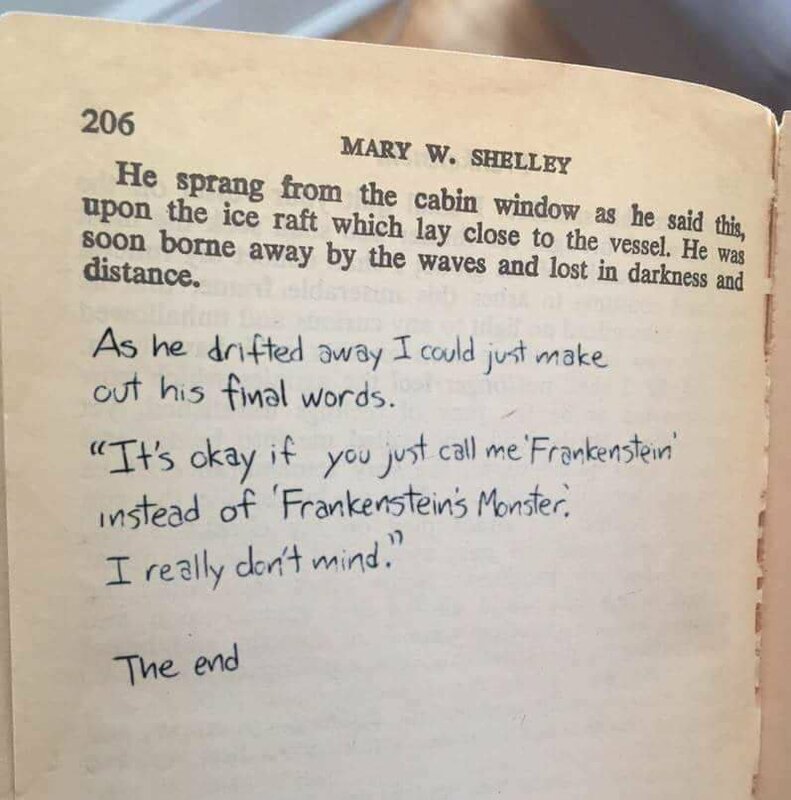 Mary Shelley Frankenstein Lost Ending - As he drifted away I could just make out his final words. It's okay if you just call me Frankenstein instead of Frankenstein's Monster. I really don't mind.